CNN: What aspect of security have you chosen in your Foundation? 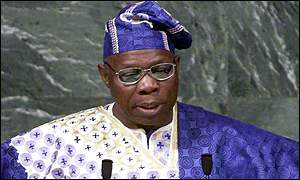 OBJ: To improve human security where it is most needed in Africa. We have chosen four areas which are very important; these are food and nutrition security, education, particularly girl/child education, youth empowerment and employment security and health issues. These are the key areas we are focusing on. CNN: Let us talk a little bit of security in Nigeria and the group Boko Haram. Do they undermine the kind of goals your foundation has? OBJ: Boko Haram undermines security and anything that undermines security, undermines development, health, education, agriculture and food and nutrition security. CNN: Do they have links with Al Qaeda or any other group? OBJ: About a year and half ago, I tried reaching out to them and I asked their lawyer who was acting in proxy if they are acting on their own or they have external supports. And he said to me, either Nigerians who have resources abroad are supporting them or other organisations from abroad are supporting them. And if they had 25 percent support, today, that support is doubled. To deal with such group, you need “Carrot” and “Stick” approach. “Carrot” is finding out what, how to reach out to them and “Stick” is when you are trying to reach out to them, those that are amenable to be reached out to, you have to use the stick approach. CNN: Do you think Goodluck Jonathan has been doing a good job with Boko Haram? (CNN) what do you mean? CNN: So he is using the stick approach? CNN : So you don’t think he is handling it correctly? 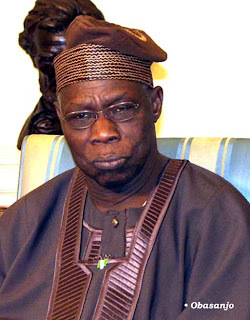 OBJ: I say that he is doing one aspect well; the other aspect must not be ignored. CNN: Will Nigeria ever split into North and South? OBJ: No, no, I think Nigerians now know that it will cost us so much more to break up than it will cost us to come together. CNN: On DRC, can you tell us what Rwanda role is in it? OBJ: I would not believe that Rwanda is back in M23 but I believe that if Democratic Republic of Congo put it own house in order, then no matter how much Rwanda wants to put its dirty finger in to it, it will not succeed much.” I don’t think the Rwandan government is directly interfering with the M23 rebels but I can’t be sure that tribes on both sides of the border aren’t involved with them. Baba is an authority in security issues.